Bad news from South Africa’s platinum belt has pushed shares of the world’s No. 2 producer of the metal to the lowest since 1999. 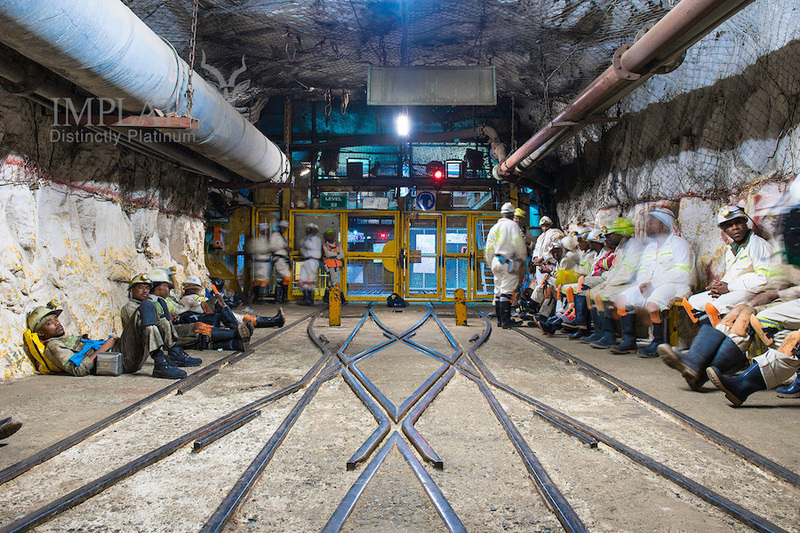 Impala Platinum Holdings Ltd. has dropped more than 40 percent this year as investors fret over glitches at its Rustenburg operations and cost ratios that compare unfavorably with some peers. The biggest producer after Anglo American Platinum Ltd. on April 26 cut its production forecast for this year by about 3 percent and said it’s taking steps to improve output and cost performance. Impala Platinum’s shares have fallen 40% this year, hitting their lowest level since 1999. Some investors are pricing in a profit warning and a potential capital raising by the miner, known as Implats, said Ryan Seaborne, a money manager at 36One Asset Management in Johannesburg. “They have cut guidance by 100,000 ounces to 560,000 ounces for full year 2018 and this is only a few months after they already lowered guidance,” he said, referring to the Rustenburg operations in South Africa’s northwest. The reduced production at Rustenburg could mean Implats has reached its break-even rate and the “operation is sailing close to the wind,” Rene Hochreiter, an analyst at Noah Capital Markets, said in an April 26 note. In rand terms, platinum prices have dropped by about 15 percent since mid-November. The company shut a shaft at Rustenburg in January, flagged three more to be closed once mined out and fired 1,400 workers. While the miner has closed 10 shafts since 2013, some investors aren’t convinced the company has contained its cost crunch. “Net debt to Ebitda has been creeping up to double and could breach that level soon,” Seaborne said. Most South African peers, excluding Sibanye Gold Ltd., operate a ratio of less than 1:1, he said. Implats has attracted the attention of short sellers, who bet on declines in stocks. As of May 9, the short interest in Implats as a percentage of shares outstanding is 9.8 percent, Markit Ltd. data show, making the platinum miner the most-shorted stock among members of South Africa’s benchmark index. Implats fell 6.1 percent Thursday, declining for a sixth day to the lowest since May 1999. The stock is the worst performer among the five members of a Johannesburg index of platinum producers, which has dropped 25 percent in 2018.